Note: Here’s the first article in the series titled “The Humble Stick“. If you’re living off the grid, chances are you are in a rustic setting and possibly/most likely have a rustic dwelling, maybe even a log cabin that you built by hand (that would be awesome). Well, what would fit with that rustic theme better than rustic furniture? When you make your homestead location, chances are there will be a lot of trees there that you will be cutting down to clear a spot for your home and garden areas. Besides the heavier logs that come from cutting trees that can be used for making boards, beams, and split rails, you are also going to amass quite a pile of sticks. No, seriously, there will be a huge pile of sticks. So why not put those sticks to good use? After all, waste not want not, right? 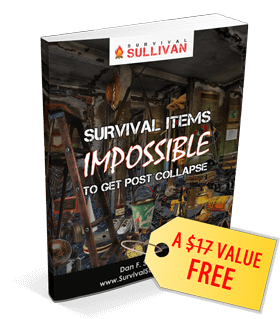 It is quite possible, or even likely, that you have seen articles and videos of people using simple sticks to make things like baskets, fish traps, fences, and even a survival canoe. Well if you take that same concept and upscale it you can also furnish your home by making chairs, benches, tables, beds, and even a sofa (AKA couch, AKA duvet) with some of those sticks. At first it may seem a little difficult, especially if you have never woven anything. It may be better to start small and make a basket or five. Once you get the hang of weaving the sticks it will come more easily for you. The basics of it are to start with an outline of the object you wish to create. You may have to use some cordage at first to hold pieces in place. Once you get the outline in place it is then just a matter of weaving smaller sticks to bring it all together. Once you have the structure together you can remove the cordage if you so desire, or you can leave it if it doesn’t distract from the overall appearance. If you use DYI natural fiber cordage you could leave it right where it is and it will look fine. By using larger sticks for the outline, (3/4-1” diameter) the structure will actually be good and solid. This is closer, but still not what I see. You could even fix up the outside of your rustic getaway/hideout with sticks. This adds beauty to your homestead and blends well with your environment. You can use heavier split rails from logs and make a nice split rail fence. The split rail fences are good for making horse corals or just for making a nice decorative accent for your home. Besides a split rail fence, you can use smaller sticks and make a wattle fence too. When making a wattle fence you can opt for several versions. You can make a solid wall of sticks, you can make alternating rows to look like rails, or you can even get fancy and make a nice pattern in your weaving. You may find many uses and needs for fencing around the homestead, like making a smaller fence to enclose your garden to protect it from unwanted pests for instance. Some other structures you can build with smaller sticks to make the outside of your homestead look nice are a gazebo, trellis, or a garden arbor (AKA garden arch). If you are homesteading there is no doubt you will have a substantial garden and you will need trellises for climbing plants like beans and tomatoes. You can also use sticks to make farming and gardening implements like rakes, hoes, shovels, and even a plow. You can build livestock enclosures with sticks inside your barn too. Just construct either wattle fence type walls to create stalls and even the stall door, or you can do a picket or rail style. You can also use sticks to build your little egg layers a nice home, or at least make roosts and nesting boxes inside the coop for them. 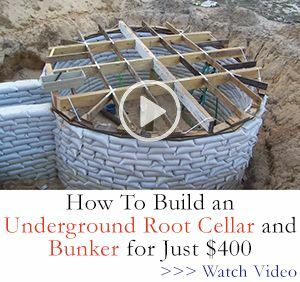 If you are living off the grid you are going to need a root cellar, and you can build yourself a root cellar on your homestead with sticks too. How do you build a root cellar with sticks you ask? Well, that’s simple really, dig a hole. Okay, well there’s a little more to it than that, but not much. Pick your location for the root cellar. Dig the hole, nice and deep. The deeper the hole is the better because you want it to be cool in there even on the hottest summer days. If you should happen to have a hillside handy, digging back into the hill is a little easier and quicker than digging straight down into the graound.After you have dug the hole you construct a dome shaped roof over it using sticks. Dome shaped is the best because it is the strongest. Be sure to leave an opening in the domed roof for the doorway. When you dig the hole, if you dig cleverly you can carve a few steps directly into the earth as you dig. Find a few good, flat creek rocks and cover the treads of the steps to keep them from wearing. To prevent the rocks from shifting when you walk on them, (that could be a trip/fall hazard) use oversized rocks and dig back into the dirt to slide the rock in there. That will hold the tread rock still and prevent it from wobbling or slipping. Use loose dirt to firmly set the rock on the tread. Once you have woven a dome of sticks over your root cellar hole if you have a sheet of plastic you can spare at this point that would be great. If you don’t have a sheet of plastic other things that can work are felt paper (the black paper that goes under the shingles on a house roof), or even just grass and leaves. Whichever you use, once the dome is up cover it with the plastic or grass and leaves, and then spread ALL the dirt you dug out for the hole over the dome and tamp it firmly. Planting grass seed on the dome will prevent erosion from washing the dirt away. This creates a well insulated root cellar for storage of perishables. A root cellar not only keeps food stuffs cool in the summer, but it keeps food from freezing in the winter too because it maintains a steady temperature inside the cellar. Think of it as making a manmade cave. You can also store homemade cider, beer or wine in your root cellar. It’s like I always say, think about what materials you have on hand (in this case lots of sticks). Then think about what your needs are. Then you only have to try to combine those two thoughts together into how to make something useful. You will amaze yourself at the things you might come up with, after all, that’s pretty much how we got everything we know about in existence today. Someone saw a need and fulfilled it. 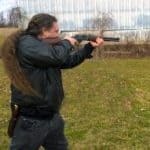 That’s what you will have to do constantly when you are homesteading. There will be no going to Wally world to buy that wonderfully low priced made in china rake or shovel. You will gather some sticks from the woods near your homestead and you will sit and cut the pieces out, and drill the holes however you can. Whether you have a hand drill, a bow drill, or you have to do it with your pocket knife, you will cut and shape the sticks, bend them and twist them, bind them together, and force your will upon them to become the object of your desire. You will be self-sufficient, self-sustaining. You will be growing your own food in a garden that you created. 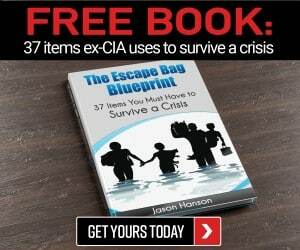 You will be storing the food in a root cellar that you built, and sitting in a chair that you made from mere sticks, in the home that you built from logs to enjoy your home cooked meal after a day working your land. It will be paradise.